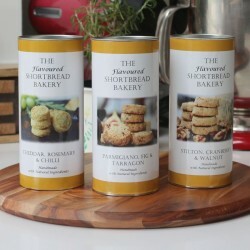 Rayo, founder of The Flavoured Shortbread Bakery, loves experimenting with different flavours in her shortbread - some combinations are well-known, others more unusual, but all taste amazing and work beautifully together. 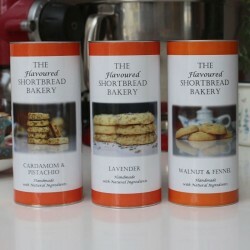 The result is a delectable, indulgent taste sensation perfect for foodies looking for an extra special treat. 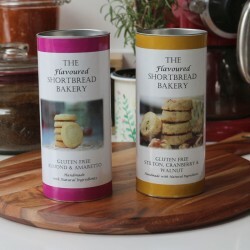 Her shortbread is handmade in Surrey following a traditional recipe, using locally sourced ingredients. 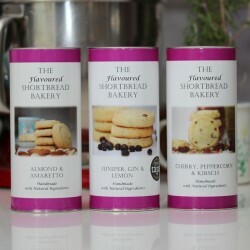 A variety of herbs, spices, fruits, nuts and sometimes even a little alcohol are used to make the deliciously different flavour combinations, such as Juniper, Gin & Lemon and Parmigiano, Fig & Tarragon.